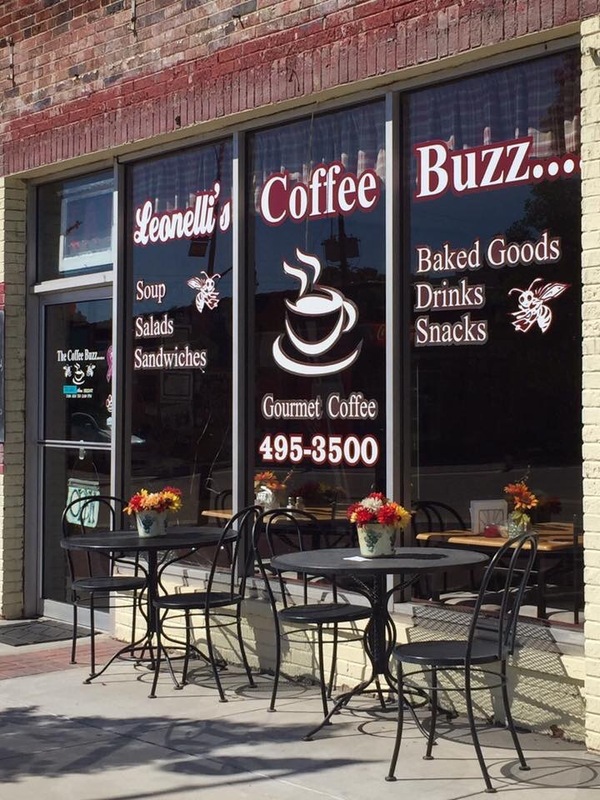 Leonelli’s Coffee Buzz @ 130 1st street SW, Hamilton, Alabama (On the Court Square). Open Tuesday – Friday from 7:00M – 2:00pm. They don’t take cards so bring some green. 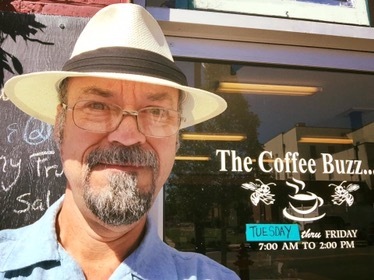 Although I live in a different state, I’ve been asked to check out Leonelli’s Coffee Buzz on more than one occasion. Well, I should point out that my home in Dorsey, MS is only a 30 minute drive. I had the day off so I decided it was time for a short road trip! They have an extensive list of beverages including gourmet coffees, cappuccinos, macchiato, hot chocolate, teas, smoothies and much more. Plus, homemade deserts and a nice lunch menu full of fresh homemade goods. 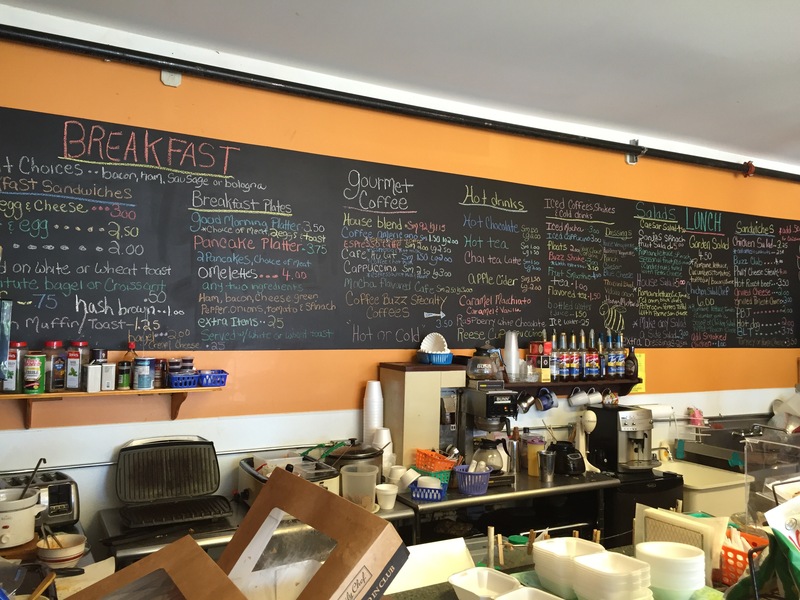 Aside from their daily specials, they have everyday fantastic foods ranging from homemade soaps, salads, sandwiches, cakes, pies, and a few more goodies. 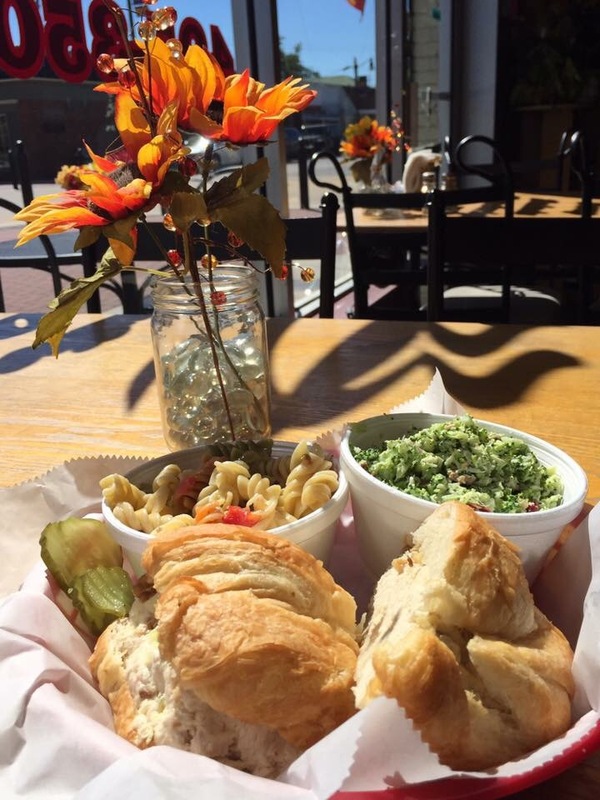 For my first taste sensation from The Coffee Buzz….Chicken Salad croissant, Broccoli salad, and Pasta salad. Everything was homemade, nice portions and reasonably priced. 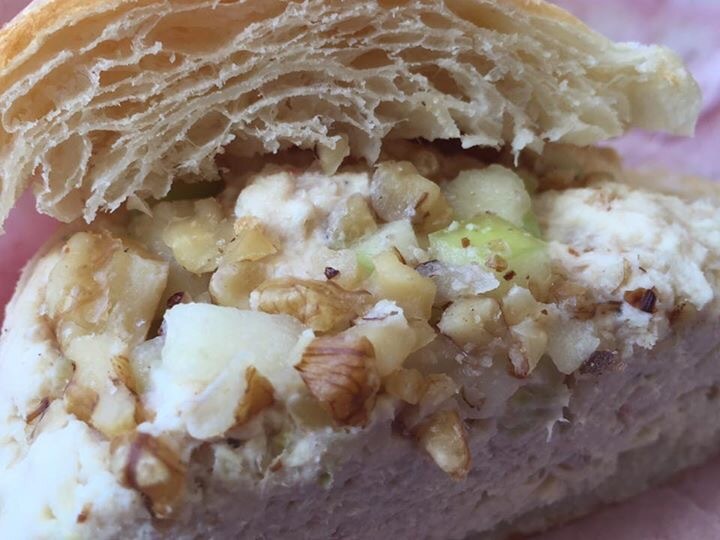 The chicken salad croissant was homemade and topped with walnuts and bits of fresh apple. It was piled high and extremely tasty. 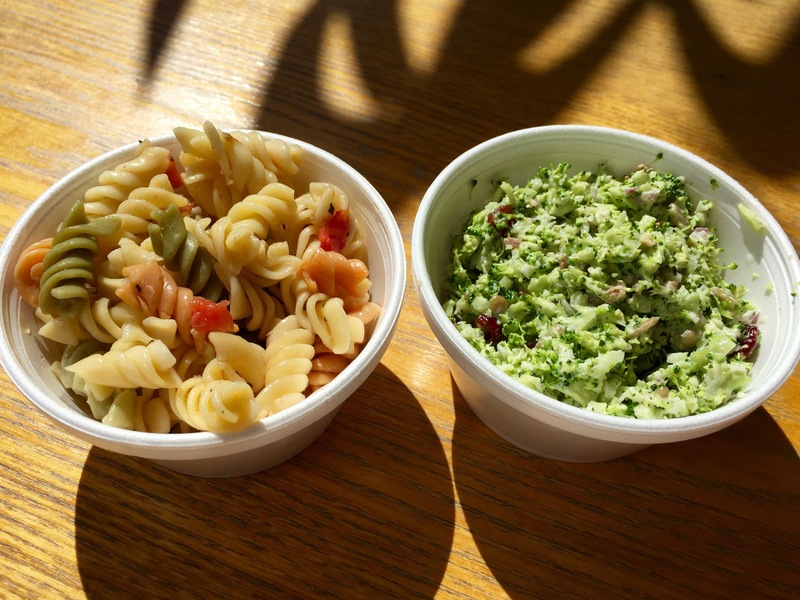 For my two sides: The Pasta salad was very good with a nice texture. The Broccoli salad was finally chopped and had a splash of Craisins and sunflower seeds with just a hint of sweetness. Both would make good side items for most any occasion. Being named The Coffee Buzz, I couldn’t wrap up my first visit without trying a hot beverage and a sweet treat. 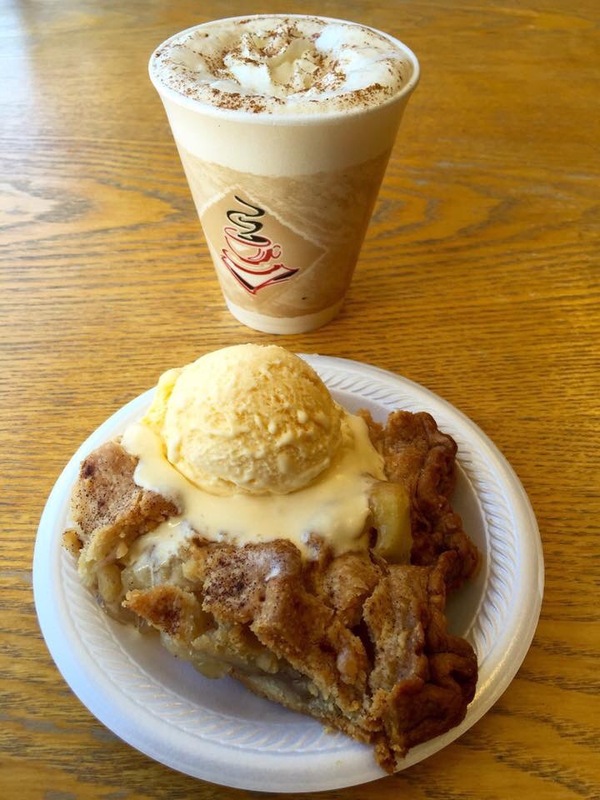 After a few helpful suggestions, I choose the pumpkin spice cappuccino sprinkled with cinnamon, and a slice of homemade apple pie topped with vanilla ice cream. Now I like my flavored cappuccinos to have a noticeable sweetness. Mine was a perfect blend of cappuccino, pumpkin spice, cinnamon, and creamy goodness! My apple pie was flaky, sweet, and packed full of apples that were just recently hand pealed and sliced. 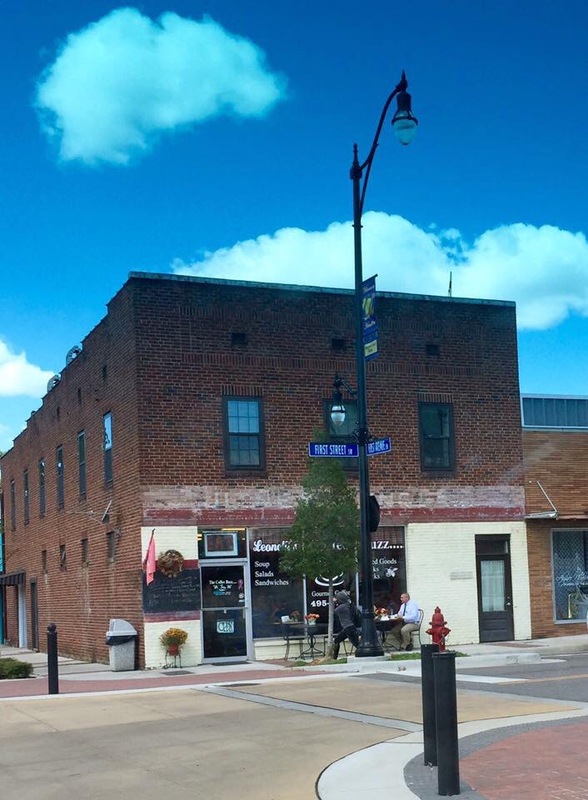 Leonelli’s coffee buzz is prominently located around the square and easy to find. By 12:00pm loyal customers were lined up to the door for the great food and friendly service, including a newlywed couple who decided to make this cafe the first stop in their new life together. 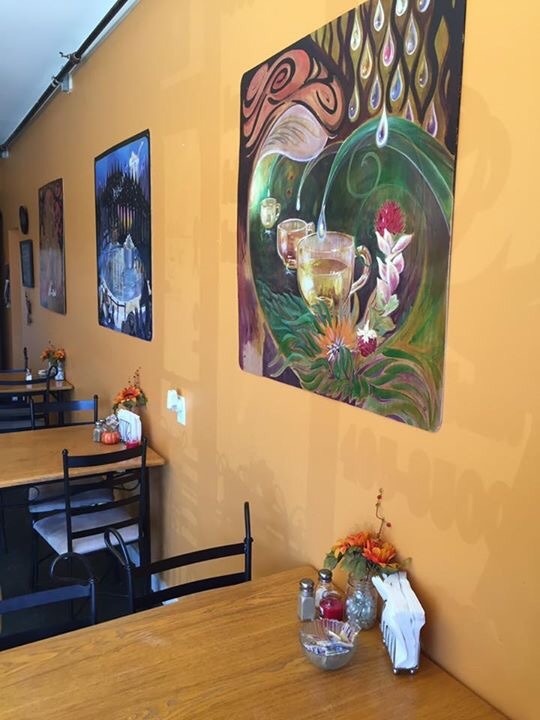 Leonelli’s Coffee Buzz is a true hidden gem, located in the heart of Hamilton! 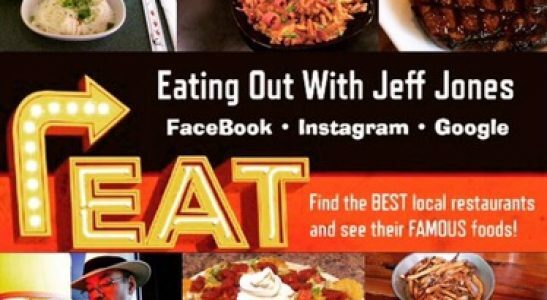 Check out their page to see all their mouthwatering deserts, specials and updates!